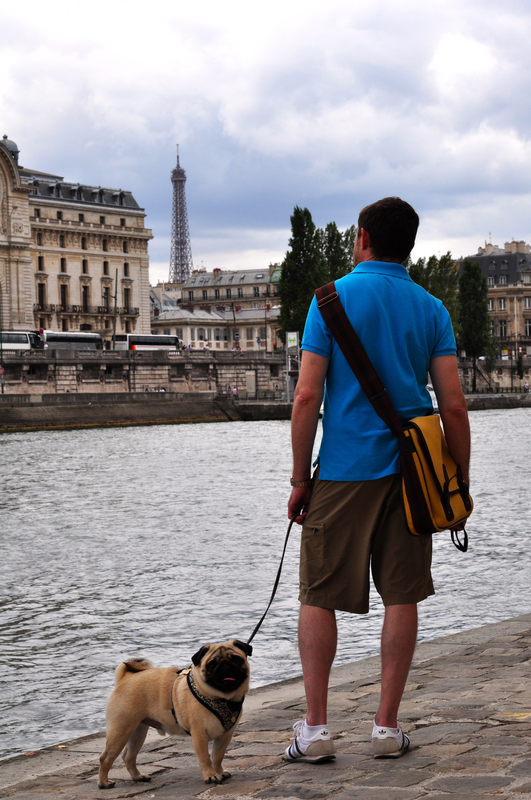 The other day I was telling friends about Two Guys And A Pug, and it occurred to me it had been 11 months since I posted Paris, On One Street. Eleven months! Last August marked five months of living in Paris. By that time we had seen the sights plenty of times, so we had started exploring areas less popular with tourists. There is a sidewalk along the right bank of the Seine that runs for several blocks. As you walk west you’ll find yourself alone. It’s Paris, by yourself. There’s a different perspective of the sights and sounds, and they’re still just as beautiful. Gee. Can you believe how fast the time goes.